Pay what you wish (details below). The screening of the film begins at 7 p.m. In 1968, Michael (Robert De Niro), Nick (Christopher Walken) and Steven (John Savage), lifelong friends from a working-class Pennsylvania steel town, prepare to ship out overseas following Steven’s elaborate wedding and one final group hunting trip. In Vietnam, their dreams of military honor are quickly shattered by the inhumanities of war; even those who survive are haunted by the experience, as is Nick’s hometown sweetheart, Linda (Meryl Streep). Originally released in 1978. Open-Late Film Series screenings are “pay what you wish” for all visitors – pay as much or as little as you’d like for admission! Refreshments will be available for sale, and the History Center will close to the public at the conclusion of the film screening. 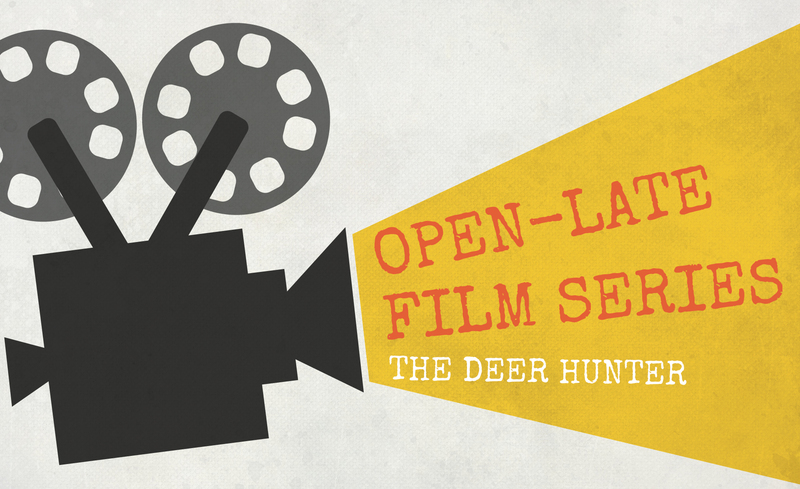 Learn more about the Open-Late Film Series. For more information, please contact Sam Moore at sjmoore@heinzhistorycenter.org or 412-454-6373.